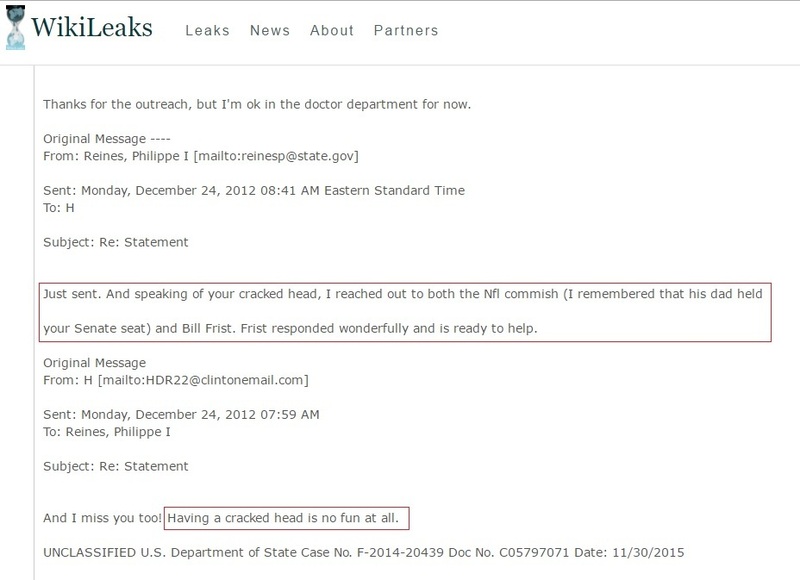 Wikileaks: Hillary's Advisors Contacted NFL Commish to Ask About Her "Cracked Head"
Hillary Clinton adviser Philippe Reines at the State Department contacted the NFL Commissioner in 2012 to inquire about severe head injuries. The email was sent on December 24, 2012. 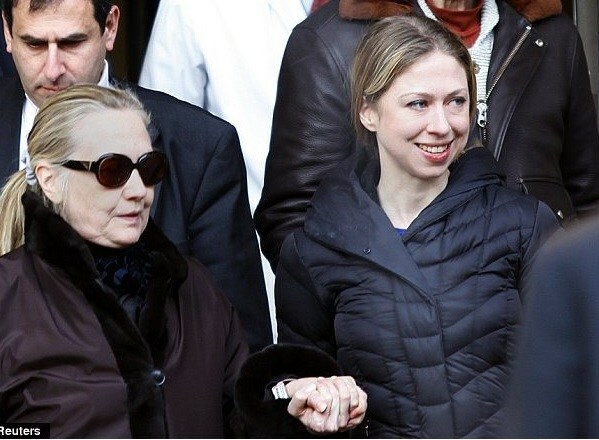 Hillary first fell ill with a stomach virus, then reportedly suffered a fall and a concussion and finally a brief hospitalization for a blood clot near her brain. At least, that’s what they reported. Hillary did not go back to work until January 7, 2013.